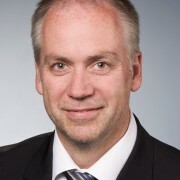 Rainer Wendt, CBAP, PMP, PMI-PBA, PMI-ACP is a well-known trainer and expert for business analysis, project management and agile approaches. In his work he focusses encouraging sustainability and creating commercial value in projects. As a CEO and active consultant at masVenta Business GmbH (www.masventa.eu) he has many different projects in different industries. He is the sitting president of the German chapter of the International Institute for Business Analysis (IIBA®). Rainer Wendt describes the new structures for agile principles of agile business anaysis with the concept of planning horizons. Solution Evaluation is the assessment of existing or new solutions before or after a business goes into operation. Read more about Solution Evaluation.